Online fraudsters are constantly on the lookout for new targets. With the advances in technology, hackers become more sophisticated and use more advanced tools to break through cyber protection walls. 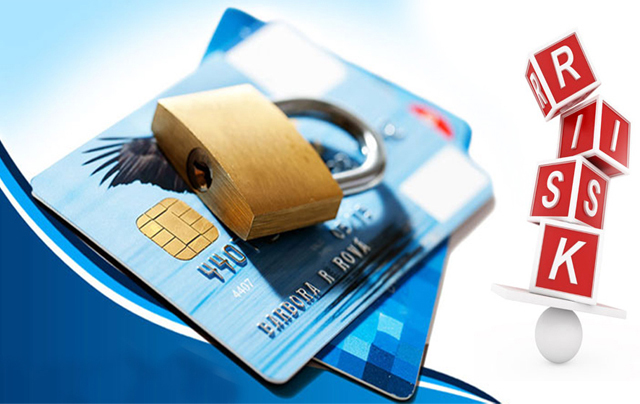 What are some major threats to online payment processing and high risk merchant accounts? How can you fight them? Just move forward and you’ll find them. Fraudsters are thinking big when it comes to their targets. Many small and big companies holding lots of sensitive information have already been victimized by hackers. In 2017, there was a plague of ransomware attacks targeting Britain’s National Health Service, San Francisco’s light-rail network, FedEx, and others. The Equifax cyberattack in 2017 targeted almost half the US populationby getting access to their Social Security numbers, birth dates, and other sensitive info. With this being said, it’s critical for merchants to work only with reliable payment processors that can provide the best protection for online transactions. So, to safely and securely accept electronic payments, you should apply only to a reputable credit card processing company. This way, you can be sure to get the most advanced fraud protection and prevention services for your low or high risk merchant accounts. Bitcoin, as well as other digital currencies are targets for hackers. This year, the Federal Bureau of Investigation (FBI) warnedbanks that fraudsters were preparing for a top choreographed, global fraud scheme called an “ATM cash-out.” This is when cybercriminals hack a bank/payment processor and use cloned cards at cash machines worldwide to fraudulently obtain millions of dollars within just a few hours. Malware is highly “smart” these days and is becoming even more sophisticated. Everything from keystrokes to learning passwords, from infiltrating laptop cameras to microphones can be tracked. URL scraping can see your online journey, and bots can be installed in your system. Patching plays an immensely important role for companies. So, be more security conscious. Instead of breaching the perimeter, hackers are now targeting applications across the typical enterprise. Did you know that 3rdparty organizations were involved in 42% of all data breaches? Never stop gaining new knowledge on how you can protect your customers’ transactions better. This is when fraudsters use language that’s very specific to recipients, thus making it easier for them to get access to accounts and authorize payments. Storing everything in the cloud is only the beginning. You must be able to protect your info to the best possible extent. Encryption shouldn’t be viewed as the only solution. In this digital age, technology gets more developed, and potential threats to cybersecurity get multiplied. Be aware of the major areas of concern so to take the right security measures. Author Bio: Electronic payments expert Blair Thomas is the co-founder of high risk payment processing company eMerchantBroker that offers exceptional merchant services, including high risk merchant accounts. He’s just as passionate about his business as he is with traveling and spending time with his dog Cooper.